I cant count how many times i have wondered if this parenting thing is really my life. I yell at my kids frequently and we eat cereal for dinner far more often than I would like to admit. As I now have a 6 almost 7 year old son, a 4 year old super sassy daughter, and a one year old boss baby— it’s impossible to not freak out a little bit sometimes. The cool thing about our little family though, is that we all get each other. We are honest with our kids. I apologize for when I’m being an angry mama bear. I just make sure they have the understanding as to what made me that way. Not only that, but I can see that they are always listening. No matter how hard they try to pretend like their not, they are. And every specific situation they are learning something about life, about me, and about themselves. It’s our job, or at least I feel like it is to help them understand things for what they are. In the last 5 years my children have really had to learn how to be independent. Of course they still have me. But due to me being as busy as i am, my children have figured it out. They learned to be OK with it because we are open with them. Obviously, there are things that we do not share with our kids because not everything is for their ears. However, we do share with them whats going on when they can tell something is going on. Leaving my kids in the dark never turns out good for any of us. They, like me, like to know whats going on. And even thought it gets really frustrating at times having to explain so many things, i know its all for the benefit of their future. Patience is something i have been working on with myself for years because i am just the type of person (even as an adult) that wants things done when i want them done. Of course this has portrayed onto my oldest child. He heard those words come from me the most. “hurry up”. I’ve really learned since he was about 4 or 5 and one day had asked me why i was in such a hurry, and i didn’t have an answer. Since then, we as a family have been working on slowing down, talking with each other more, and being honest about whats going on: always. We have never had consistent help with our kids and if at all it was very minimal. It’s always just been us. Parenting has been one of the hardest things i have ever done. Not because its so hard, but because you make a decision to endure that hardship for the rest of your life. And most of us parents do it gracefully, even when we have no one else. Parenting isn’t always what you see on social media. It’s truly all about perspective. I’ll admit , when I mess up or do something wrong, I apologize to my kids. Their dad and I are both good at agreeing on pretty much everything so we never feel that pressure from one another.. thankfully. It’s always that personal guilt.. mom guilt. Do dads have this guilt too? Don’t we all have it? I worry so much about the choices I make for my children and I know for certain that I’m far far from perfect. But they do know that I’m doing my best, and they know their dad is too. That’s really the best we can do. I don’t ever want my kids to think that i have it all together because i honestly never do. I embrace the fact that we learn things together and we go through life together. As a kid, i craved to have someone to talk to about all the things and i want my kids to know that they have that with me. The things we go through in life aren’t always meant to break us. There is always a hidden gem, a four leaf clover, and a stroke of luck or blessings if you look for it long enough. The goal is to keep moving forward. The pressure from moving forward feels uncomfortable and sometimes hurts, but the outcome is always glorious. What it is that gets me through parenting and life in general, is honesty. 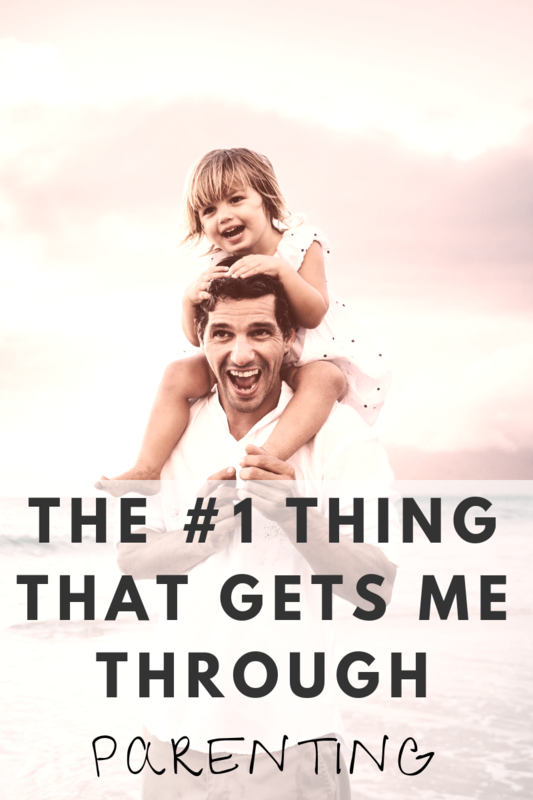 If we start to teach our kids these things and give them the tools to get through the hard times; I’m almost positive it will be easier for them to endure the hardships. How long has it taken you to be real with anyone else, let alone, yourself? We need to be real with our kids now and moving forward. Our kids are our future and we need to treat them as such. Parenting is so much more effective when we are parenting with positive intention.